Phillip Day is the author of Cancer: Why We’re Still Dying To Know The Truth and other books and YouTube videos promoting the idea that scientific medicine is evil and corrupt because it is motivated by little more than making money. Day also promotes the idea that the truth is out there but "they" don't want you to know about it. His message is similar to that of Kevin Trudeau in Natural Cures "They" Don't Want You to Know About. He says that cancer is caused by nutritional deficiency and toxicity, and recommends laetrile, detoxification, and nutrition changes as a cancer treatment. He calls laetrile vitamin B17. (Laetrile is a modified form of amygdalin and is also called B17.) Day claims that research has proven that just as scurvy can't develop if you ingest sufficient vitamin C, cancer becomes almost impossible to develop if you take laetrile. Research has not shown any such thing. The popularity of amygdalin or laetrile began in the 1960s and has been thoroughly debunked, although its defenders have not given up on it. Researchers in 2014 claim to have killed cancer cells in the petri dish with amygalin, keeping hope alive. These researchers write: "Amygdalin, a natural compound, has been used by many cancer patients as an alternative approach to treat their illness. However, whether or not this substance truly exerts an anti-tumor effect has never been settled." Well, the issue has been settled by the evidence. It's already known that amygdalin can kill cancer in the lab and lab animals; so can many other substances that have no value in treating humans with cancer. The point of this study seems to be that as long as you can kill cancer cells in the lab with laetrile, the issue of its effectiveness as a cancer cure for humans is unsettled. This is only true, if it has not already been shown that the substance does not cure cancer in humans, which is the case with amygdalin/laetrile. That said, it should be noted that it is a long way from claiming that cancer is a metabolic disorder to recognizing, as science does, that cancer cells need energy and finding ways to prevent cancer cells from getting that energy can play an important part in treatment. Anyway, laetrile has not been proven effective for treating anything, and has been shown to be harmful in some cases. Laetrile is the name given to purified amygdalin, a chemical found in the nuts of many fruits such as peaches, bitter almonds and apricots. Laetrile has been widely used among cancer patients since the 1970s in the hope that it might stop or slow the process of the disease. As there is uncertainty about whether Laetrile treatments work and there is also a risk of side effects from cyanide poisoning, the Food and Drugs Agency [sic] (FDA) in the US and European Commission have banned its use. However, it is still possible for anyone to buy Laetrile products illegally on the Internet. As there is no government control on these preparations they may come from questionable sources and be contaminated. There has been a clinical trial, but it was not a randomized control group study. In July 1980, the NCI undertook clinical trials of 178 cancer patients who received Laetrile, vitamins and enzymes at the Mayo Clinic and three other prominent cancer centers. The study included patients for whom no other treatment had been effective or for whom no proven treatment was known. All patients had tumor masses that could easily be measured, but most of the patients were in good physical condition. Since Laetrile proponents were unable to agree on the formula or testing protocol for Laetrile, NCI decided to use a preparation that corresponded to the substance distributed by the major Mexican supplier, American Biologics. The preparation was supplied by the NCI Pharmaceutical Resources Branch and verified by a variety of tests. The dosage of Laetrile was based on the published recommendations of [Ernst T.] Krebs, Jr., and the Bradford Foundation. Laetrile has had its day in court. The evidence, beyond reasonable doubt, is that it doesn't benefit patients with advanced cancer, and there is no reason to believe that it would be any more effective in the earlier stages of the disease . . . The time has come to close the books. It should not come as a surprise to find that Phillip Day's background and training is not in medicine or science, but business, especially sales and marketing. He seems to know little about science, yet he calls himself a "science journalist." He is certainly effective as a marketing agent of his own works. 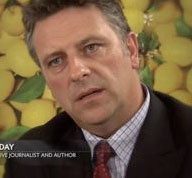 A Google search for 'Phillip Day cancer' brings up as the number one hit a site called Credence Online, owned by Sheryl McMillan, a collaborator with Day on several videos, including one made for the John Birch Society on the dangers of a North American Union being formed similar to the European Union. I bring this up not to poison the well. Its relevance will become clear when we review Day's conspiratorial accusations against "the medical establishment." As the Birchers see communist or "liberal" conspiracies behind any social trend or action they oppose, Day sees Big Pharma, scientific medicine, and government agencies like the FDA as part of a conpiracy to keep Americans sick. We also feature our own brand of specially selected health products as well as products by other companies that fit the ethos of healthy living and are of the highest quality. Front and center on the Credence site is a promotional ad for Day's "Great Discoveries in Health" tour and for the "Campaign for Truth in Medicine." The Credence "spotlight" features a short list of recommended videos and books, five of them by Day with catchy titles like The ABC's of Disease, Cancer: A Cautionary Tale, and The Essential Guide to Vitamin C. Day's marketing skills are evident. Who wouldn't trust a site called Credence that promises the Truth about health and medicine? Early in the book Phillip Day talks about how today there are more heart attacks, strokes, obesity, etc. than ever before and yet medicine seems powerless to stop it. It hardly seems fair to blame medicine for our obesity problem. I think overeating, dependency on fast foods and other unhealthy eating habits, and lack of exercise might have more to do with it than the medical profession. Scientific medicine encourages a healthy diet and an active lifestyle. Is it true that there are more heart attacks and strokes than ever before? According to a report from the Center for Disease Control, heart disease rates in the U.S. are decreasing. Smoking cigarettes, poor dietary habits, genetic history, and lack of exercise account for much of the heart disease and stroke rates. We shouldn't blame medicine unless we are trying to mislead people. Another way medicine keeps the public duped, says Day, is by raising money for charity. That's right. The people at the American Cancer Society, the American Heart Association, the American Diabetes Association, and the like are part of the propaganda machine that manipulates the public into believing that scientists really are working on cures and treatments for diseases. These folks encourage people to participate by getting them active in raising money for charity to bring an end to the problems of heart disease, cancer, diabetes, etc., but it's all a big ruse. According to Day, you'd be better off spending your money on organic fruits and vegetables than in donating to any medical charity. According to Day, scientific medicine causes millions to suffer and die by treating people with drugs, surgery, and radiation instead of with nutrition and lifestyle changes. He calls this the truth, but the truth is that practitioners of scientific medicine don't exclude nutrition and lifestyle changes. I belong to an HMO and my physician is typical of the science-based physicians I have known. When my blood sugar readings got too high, he recommended dietary and lifestyle changes. I attended classes about nutrition and lifestyle that were offered by my HMO and designed specifically for diabetics. Thanks to the advice, encouragement, and education offered by scientific medicine I lost fifty pounds and brought my blood sugar readings down about 45 percent and have not yet been prescribed any drugs to control my diabetes, unlike both my parents. I also thank scientific medicine for the stent implanted in one of my arteries more than a decade ago. Without that surgery, I would have died. Not everybody with diabetes can control the disease with diet and exercise. Some people have physical or mental disabilities that make exercise either impossible or hazardous to their health. Many can't afford to eat fresh fruits and vegetables every day. There are also many who exercise daily, eat a healthy diet, don't smoke, and yet can't get their blood sugar under control without medication. Day and those who say one must choose between food or drugs ignore these kinds of facts. For someone who says he is concerned with the truth, I have to wonder about Day when he makes inaccurate claims about scientific medicine and pharmaceutical firms. Regarding the latter, he writes that "most of the toxins afflicting the public are made by the same corporations that manufacture the nation’s medicines." Of course, since Day considers all drugs to be toxins, I suppose his claim has some sort of sick logic to it. And scientific medicine is well aware of the fact that the chemicals used in chemotherapy are toxic. That's why they're used! For my part, I am thankful to the drug companies who developed insulin and helped keep my mother alive for several more years than she could have expected without that medication. I'm thankful also for the drugs I take to control a couple of medical conditions I have. If Phillip Day does not want to take drugs or have surgery, fine. If he wants to advise others to eat organic fruits and vegetables, fine. But he is not telling the whole truth about medicine. Day claims that the stories one reads in newspapers and magazines about medical progress in treating and curing diseases is all a lie. The progress made in preventing infectious diseases around the world is a lie. The truth seems to be that Day is the one making stuff up. Day also uses one of the most common tricks of defenders of so-called alternative medicine: he tries to evoke sympathy for his position by claiming that the defenders of scientific medicine call people like him ‘insane’, ‘a quack’, ‘unqualified', or ‘mentally unbalanced’. It is true that many critics of questionable cancer cures and the like call the promoters of those cures "quacks" or worse. And it's true that name-calling can't substitute for criticisms of substance. On the other hand, those who call people like Day a quack also defend hanging that moniker on him by presenting evidence that he doesn't know what he's taking about or he is deliberately misleading people. Another of Day's rhetorical devices is the false dichotomy. He implies repeatedly that one must choose between "eating habits and popping pills." Michelle Woodworth, in her promotion of Day, ends her piece on Keeping the Lie Alive with the following signoff: "Promoting vegetables rather than drugs." The fact is that many people have excellent eating habits and they take medications to their benefit. According to Day, scientific medicine keeps the lie of medical progress alive by selectively under-reporting awkward situations or not covering them at all, and by inventing new illnesses so it can treat them with expensive drugs and make money. Day's example is ADD/ADHD (attention deficit disorder/attention deficit hyperactive disorder). Medication won't cure children of ADD, he correctly notes. Drugs treat the symptoms, he says, which is true but not news to anyone in scientific medicine. "You can spend your money to medicate your children – not to “cure” them but to control the symptoms or you can feed them nutritious, well-balanced meals and get better results – with no side-effects." Again, he prefers the false dichotomy to the truth. I can't deny that ADD may be overdiagnosed, but it is simply not true to imply that you can't treat someone with drugs, even children, and also advise that they eat nutritious meals. Nor is it true that food can substitute for medical treatments. The idea that it can deserves some attention. Day's view of cancer is attractive to those who are already mistrustful of scientific medicine, who are already in love with the idea of eating "natural foods" and "organic foods" to be in control of their health. But this illusion of control combined with scientific ignorance can be unhealthy. No special diet and no scientific medicine is going to keep a cancer patient alive forever. We all die, some of us sooner than we should because we followed the advice of someone like Phillip Day. note: The Cochrane Collaboration (CC) concluded their review of the data on laetrile and cancer with the following claim: "This systematic review has clearly identified the need for randomised or controlled clinical trials assessing the effectiveness of Laetrile or amygdalin for cancer treatment." Such a claim shines a spotlight on a major defect of the CC. There is nothing in our knowledge of cancer and laetrile that would indicate that such studies would be anything but a waste of time and money. Not only is there no good reason to think that laetrile would be effective, there is a known dangerous side effect from laetrile, cyanide poisoning, that should raise concern. Here the difference between evidence-based medicine--which places a premium on RCTs--and science-based medicine--which sees the RCT as just one piece of the evidence puzzle--is evident. See also Jon Barron, Hulda Clark, Gerson therapy, Matthias Rath, natural cancer cures, Robert O. Young, faith healing, radionics, alkaline diet, placebo effect, Cure Cancer the Natural Way? and my page on the latest scientific studies on vitamins, minerals, herbs, and supplements. Mukherjee, Siddhartha. 2010.The Emperor of All Maladies: A Biography of Cancer. Scribner. A Close Look at Robert W. Bradford and His Committee for Freedom of Choice in Medicine by Stephen Barrett, M.D.